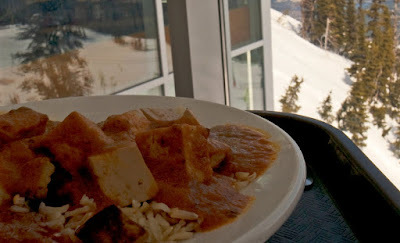 Lunch at the ski day lodge has changed for the better over the years – unlike the usual burgers, chili, and pizza fare, you now have the choice of pho, pot stickers, and Indian Masala curry over brown rice. I’ve never had luck with asian noodle soup (udon, pho) at any ski lodge but I was hoping pho would be different but – the soup isn’t right. 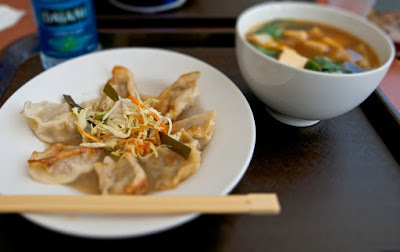 However, the Masala curry and pot stickers at the Whistler Roundhouse lodge were good. 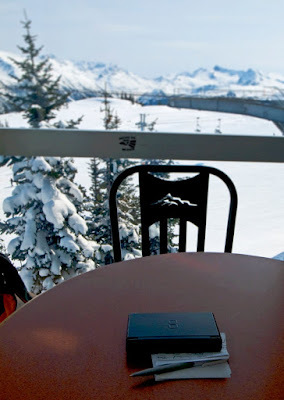 My wife’s essential ski equipment…a Nintendo DS for long breaks.. 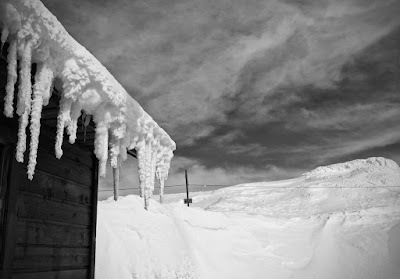 This entry was posted in Canada, house, ski trips, Whistler. Bookmark the permalink.